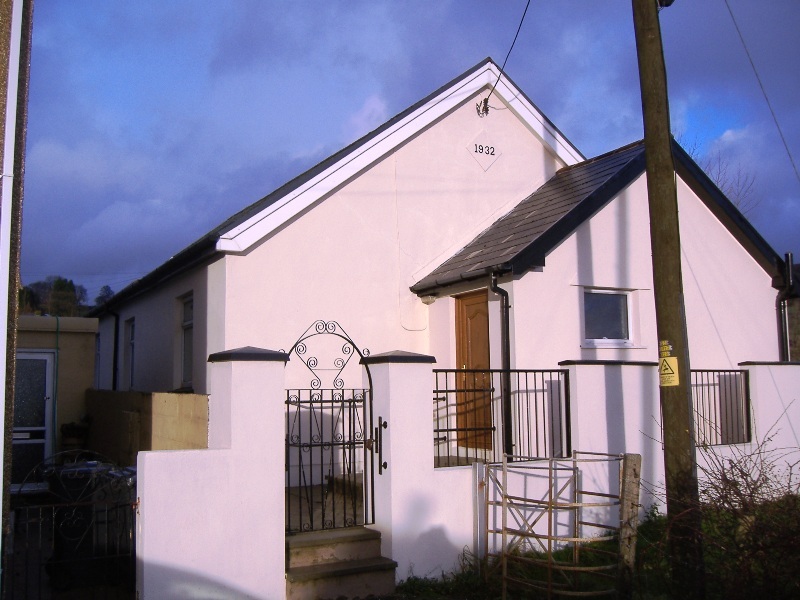 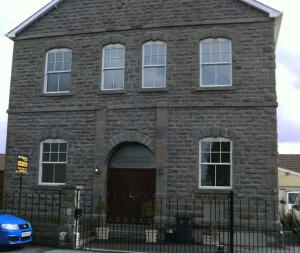 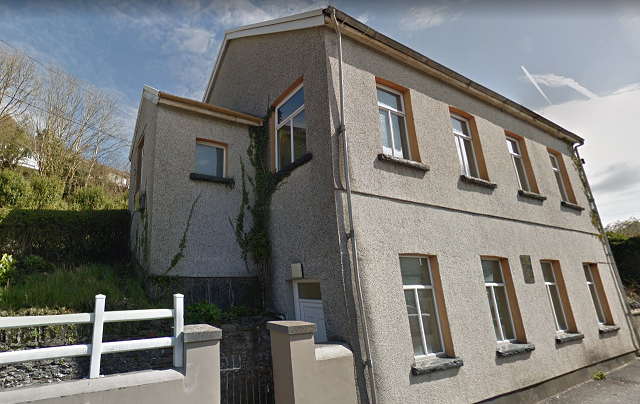 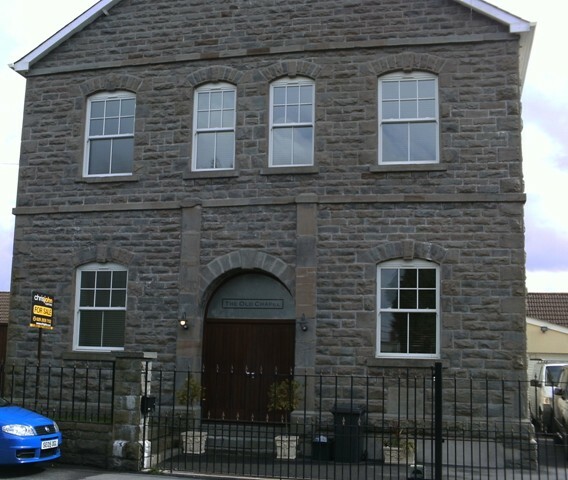 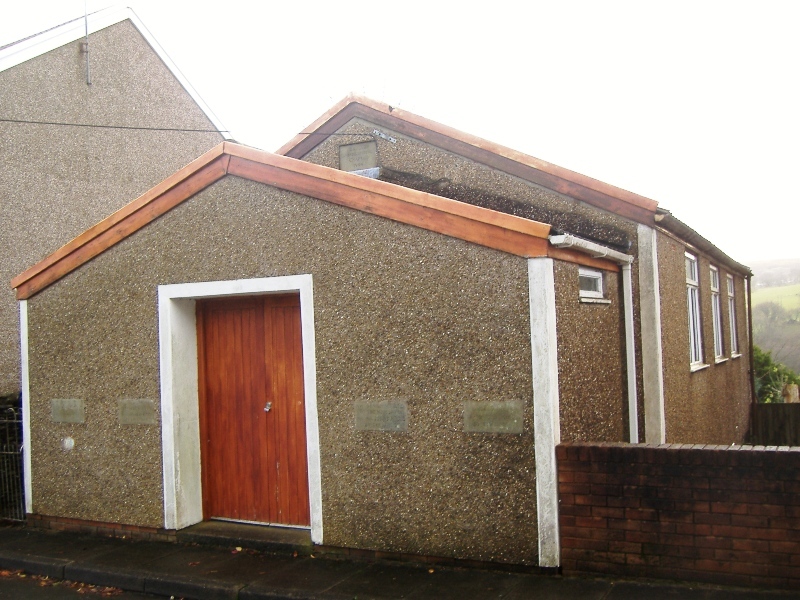 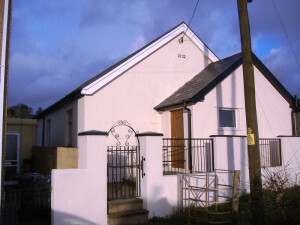 In 2004 the church was bought by a young couple who wanted to turn it into a home for themselves and their planned future family…but they wanted to retain a lot of the features and character of the old building…after many years of work, that Dean and his wife have yet to fully complete, here are the results of their labours. 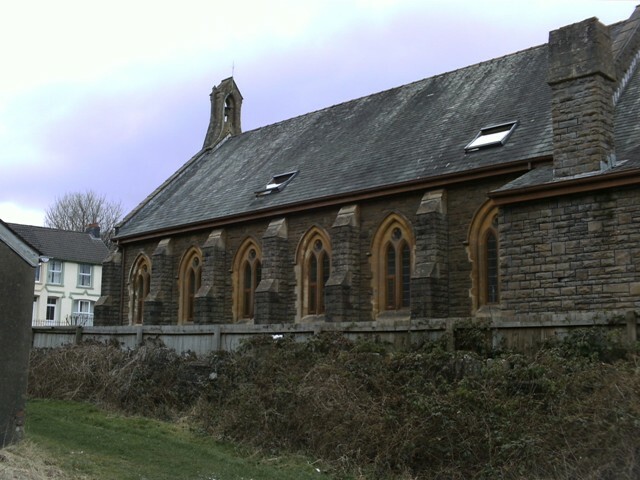 It is always a terrible shame and loss to the community when a church closes, thankfully St Marys was not demolished, Dean and his wife have done a fantastic job redeveloping the church and they both love living there…It is a family home now and they let us have some photographs to show the transformation. 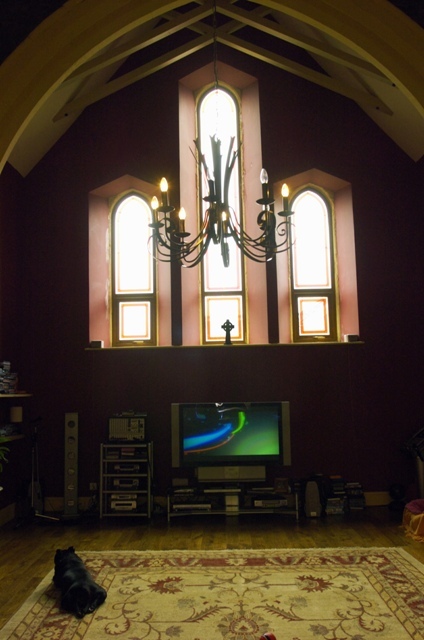 A Massive thank you to Dean and his family for allowing us to use these photographs…and for welcoming us into their home. 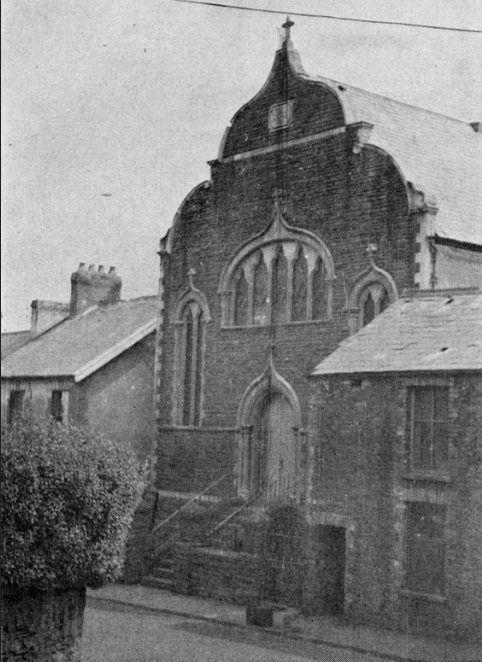 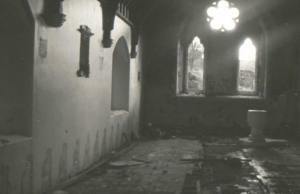 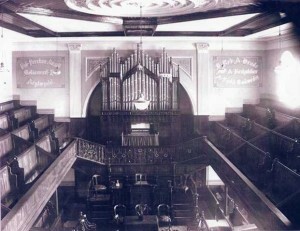 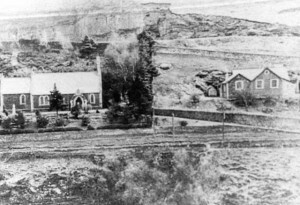 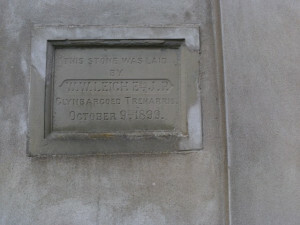 How the old church was. 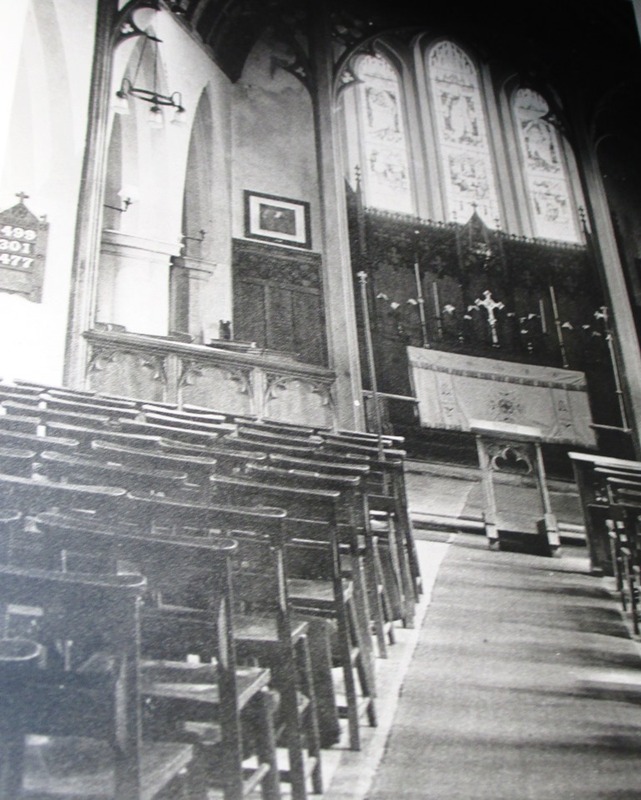 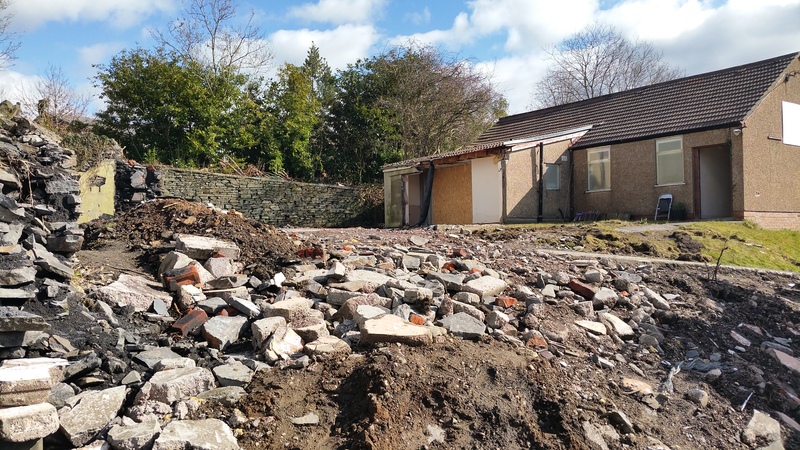 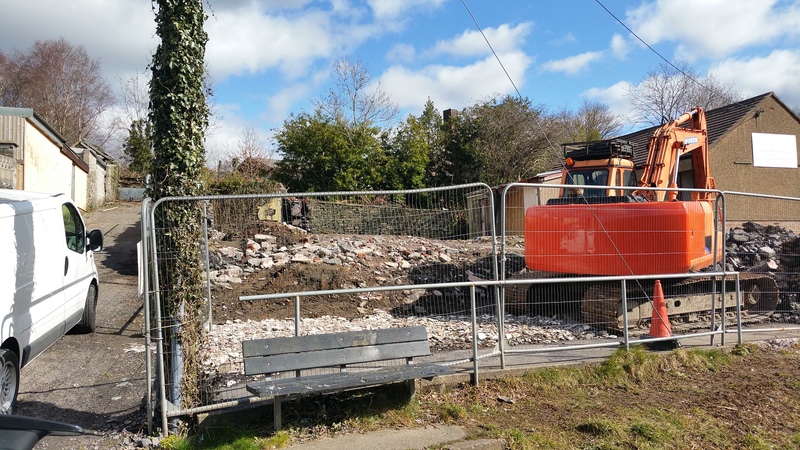 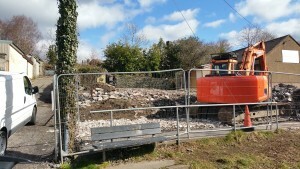 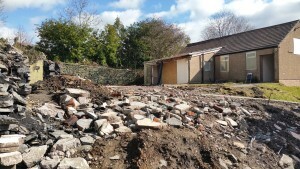 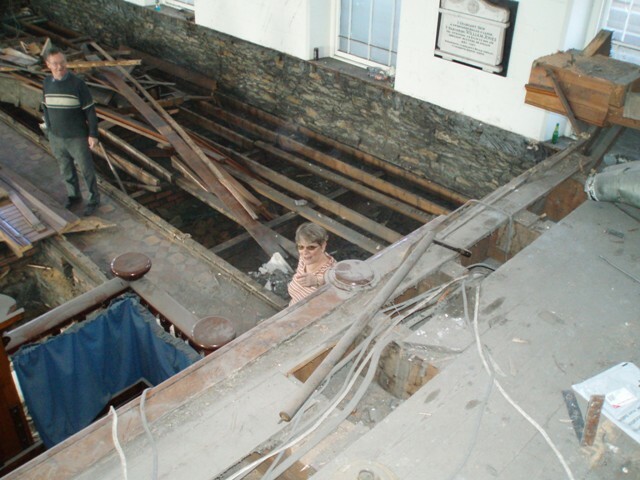 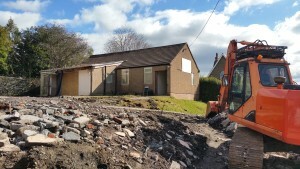 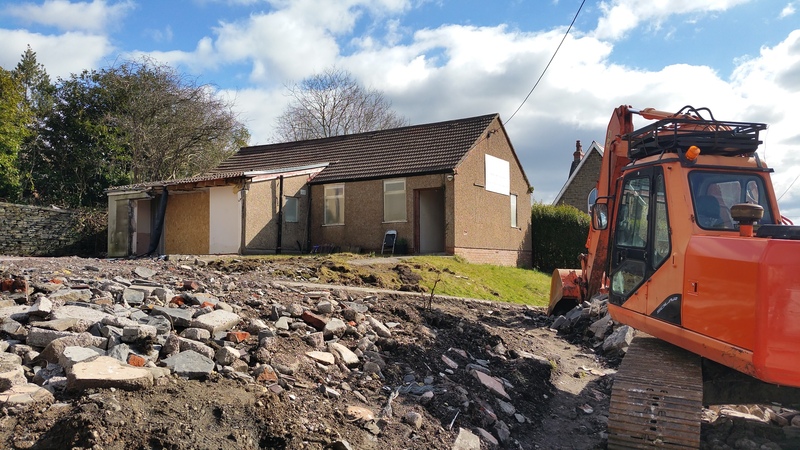 Sadly in 2016 the main Chapel was demolished to make way for a new home. 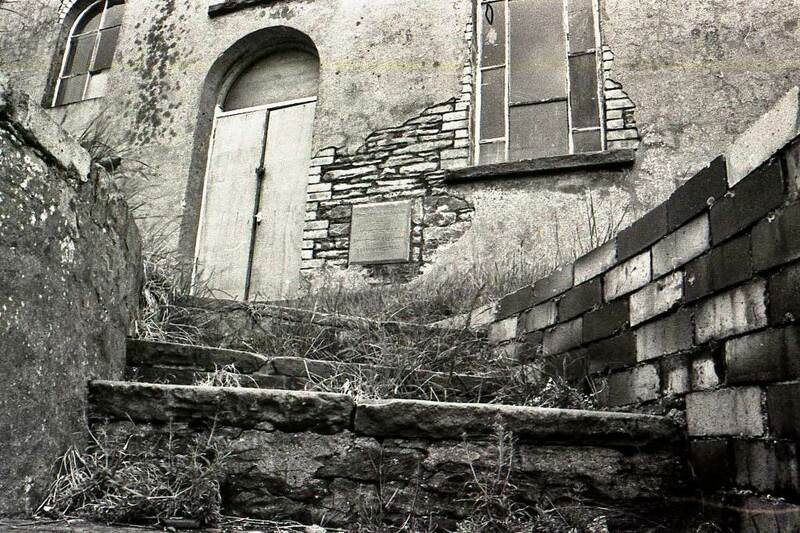 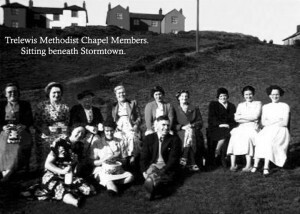 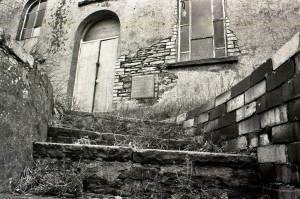 Ebenezer chapel below was a place I often frequented as a school child, we always had the school Harvest day there, sadly it is now demolished but thanks to Steve Brewer I have the photograph below, Steve is currently in the process of writing a book about the Non-Conformist Chapels in the Merthyr Area. 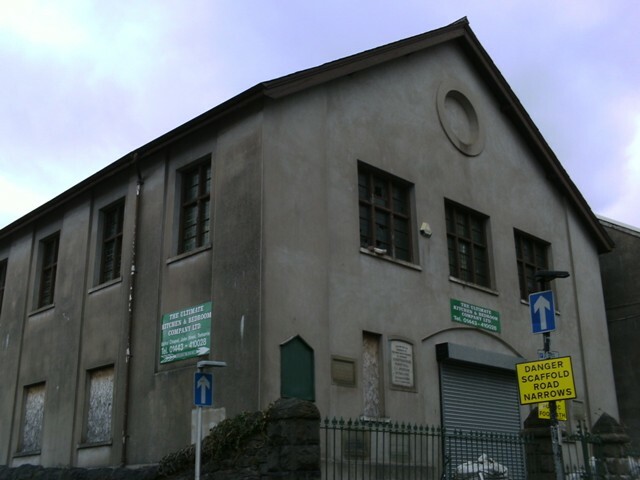 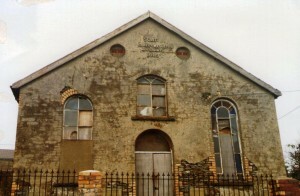 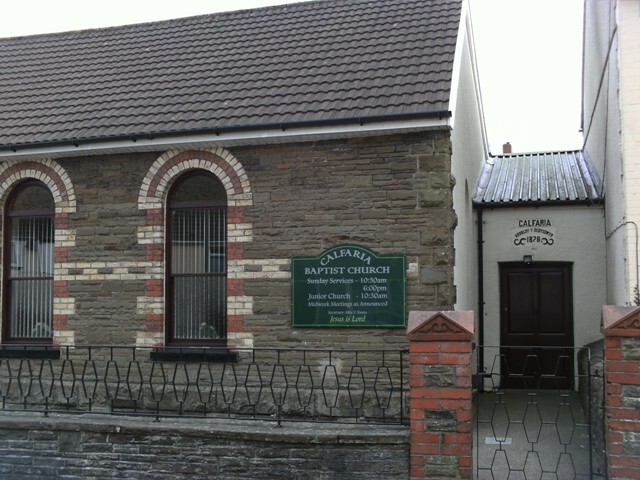 Bethania Methodist Chapel was built in 1906. 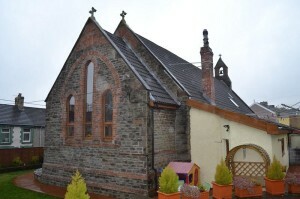 The building above replaced the original chapel. 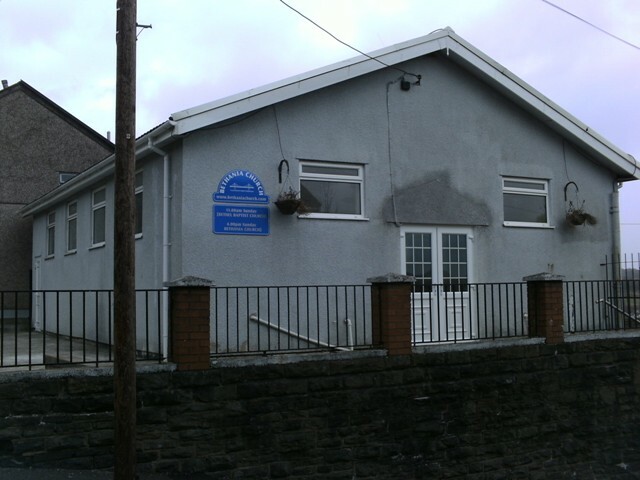 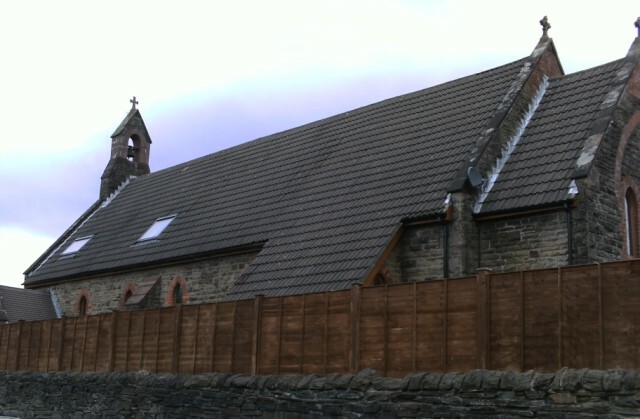 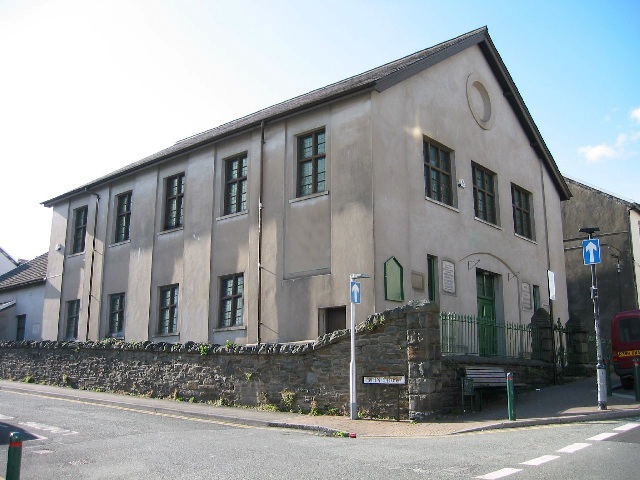 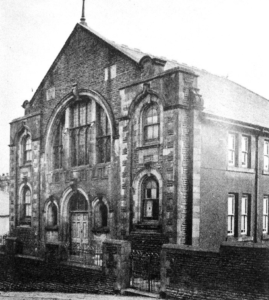 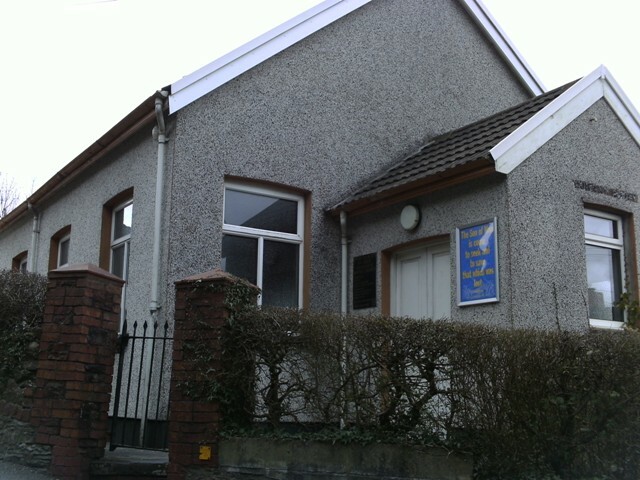 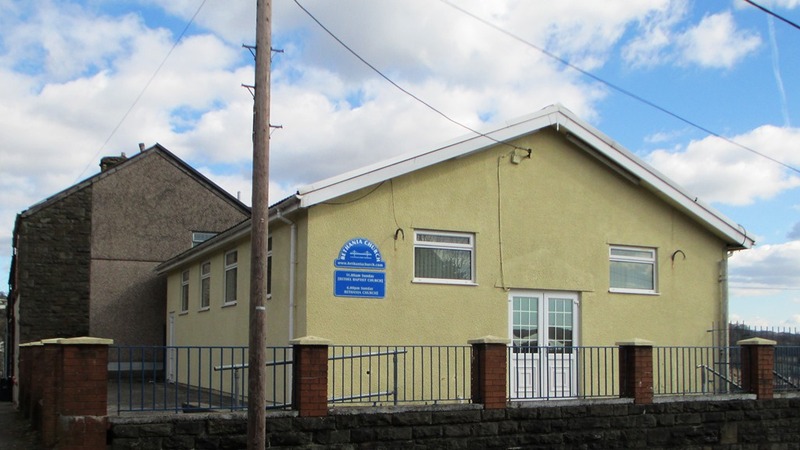 John Street, Wesleyan Methodist Church in Treharris was built in 1900, in the Byzantine style with an Arts and Crafts scrolled roof line. This Chapel has a gable-entry with a central doorway leading into the chapel. 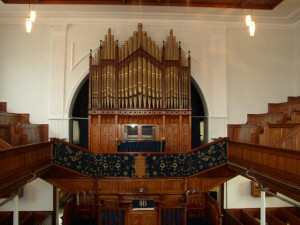 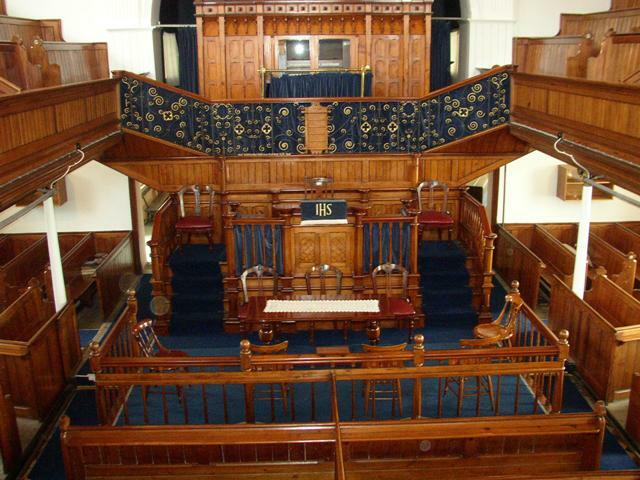 The pulpit is to the rear, with a door either side leading to the stairs for the gallery, as well as an entrance to a possible meeting room at the rear. 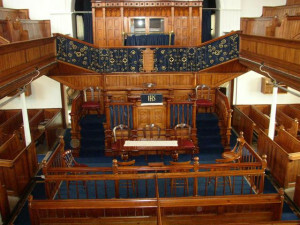 Above we see how splendid the building was. 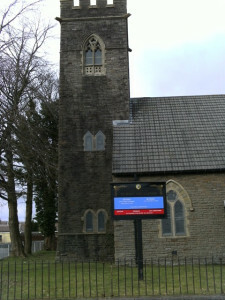 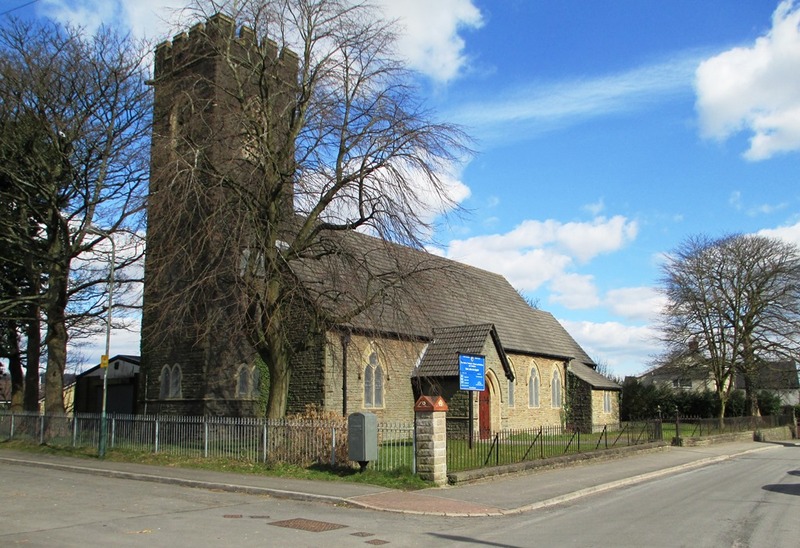 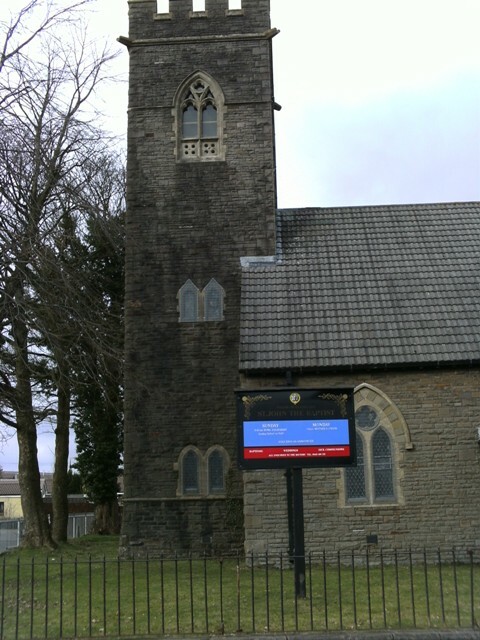 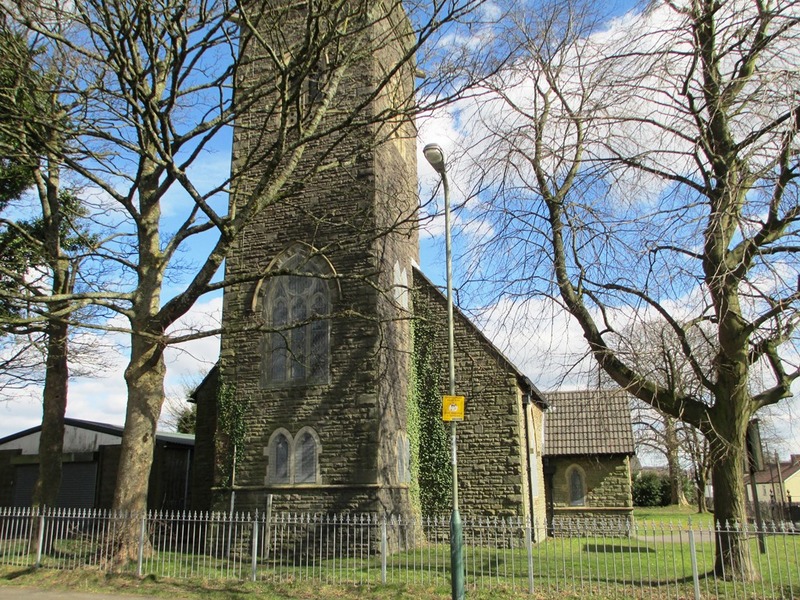 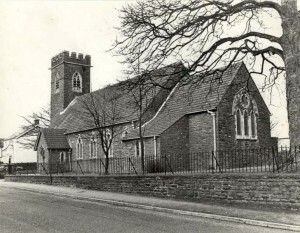 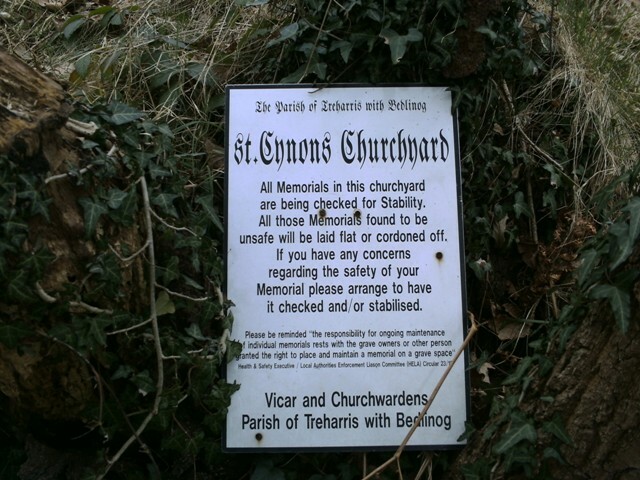 The church of St Mathias is located on the north side of Cardiff Road (B4254) at its junction with The Park. 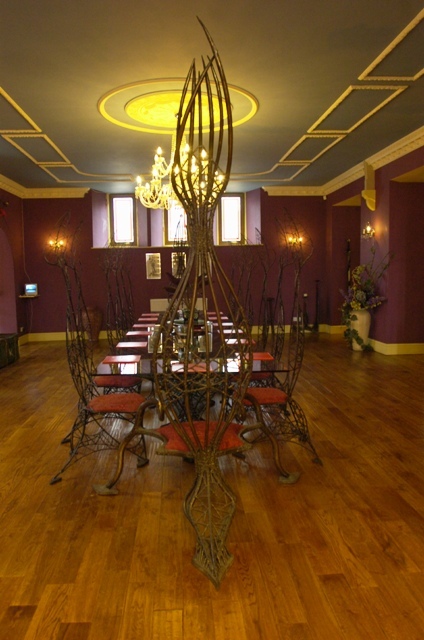 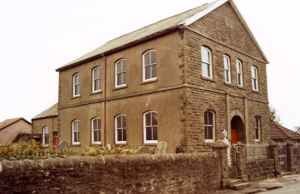 It was built in Early English style in 1895-6 to the (reduced) designs of architect J.L.Pearson of London. 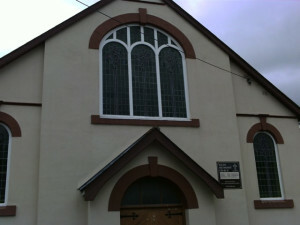 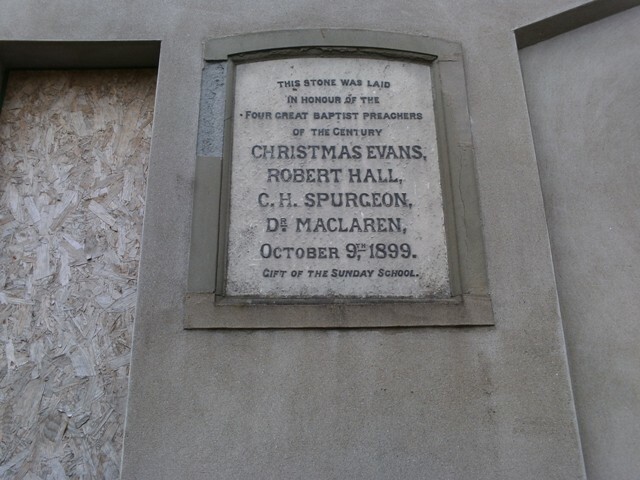 It is constructed of snecked, hammer-dressed Pennant sandstone with Bath stone dressings. 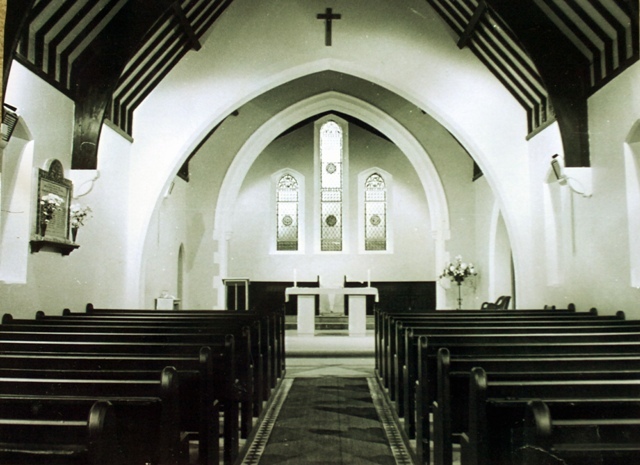 The church comprises continuous nave and chancel and full-length north aisle, the south aisle planned but omitted after building had started. 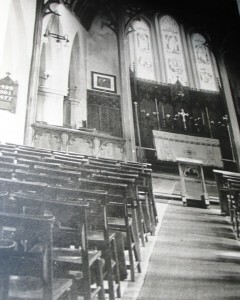 Internally, nave and chancel are defined only by a timber screen and by a change in the arcade design. 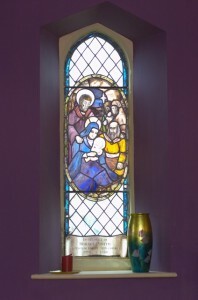 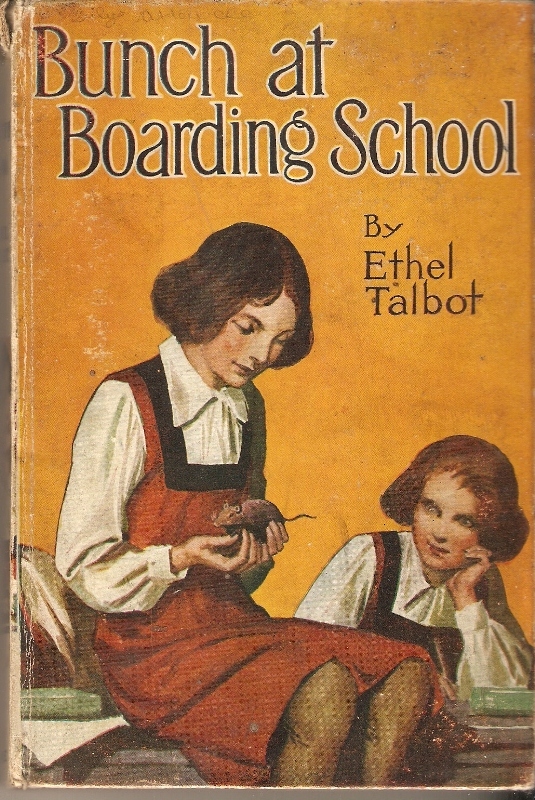 Stained glass is by three different designers including R.J.Newbery. 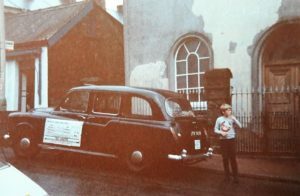 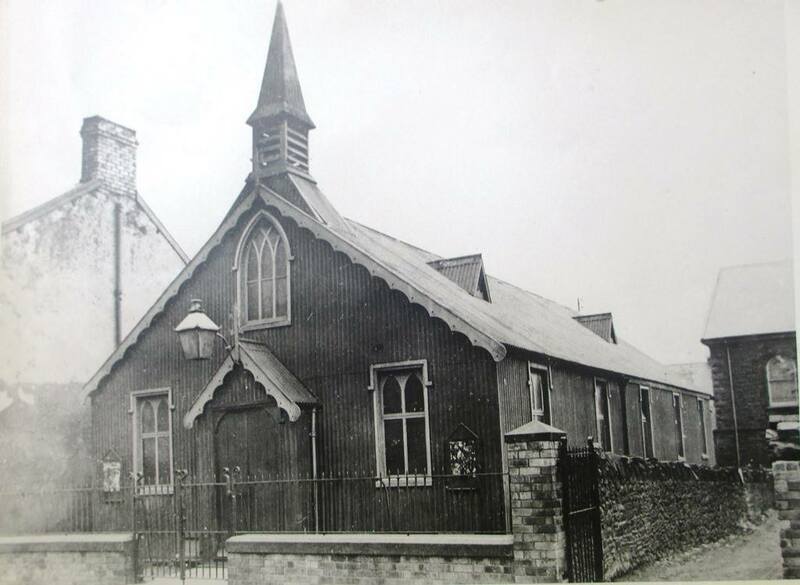 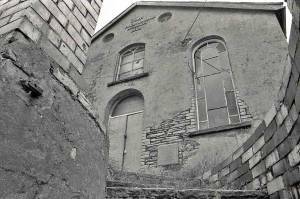 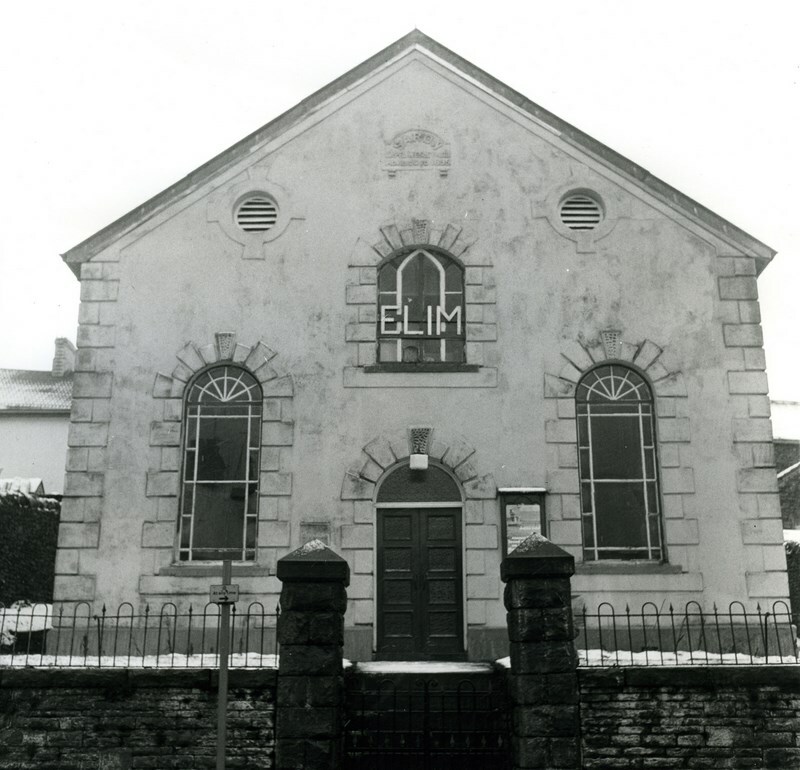 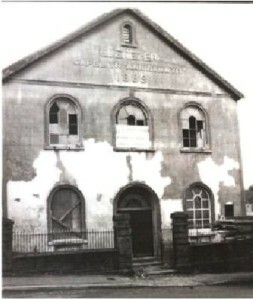 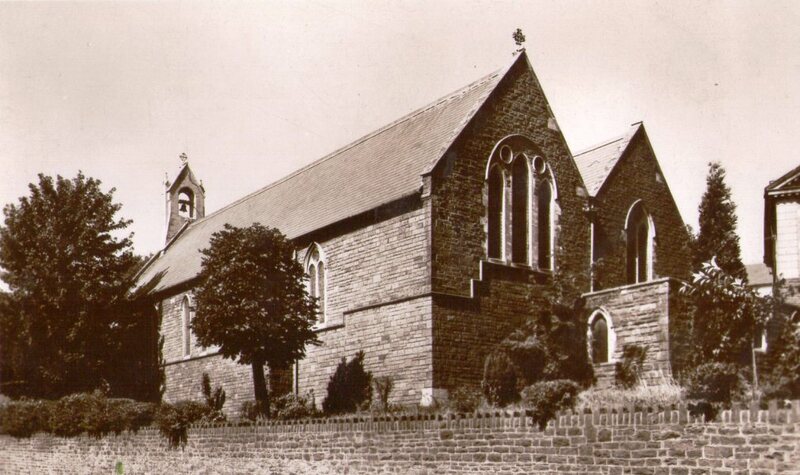 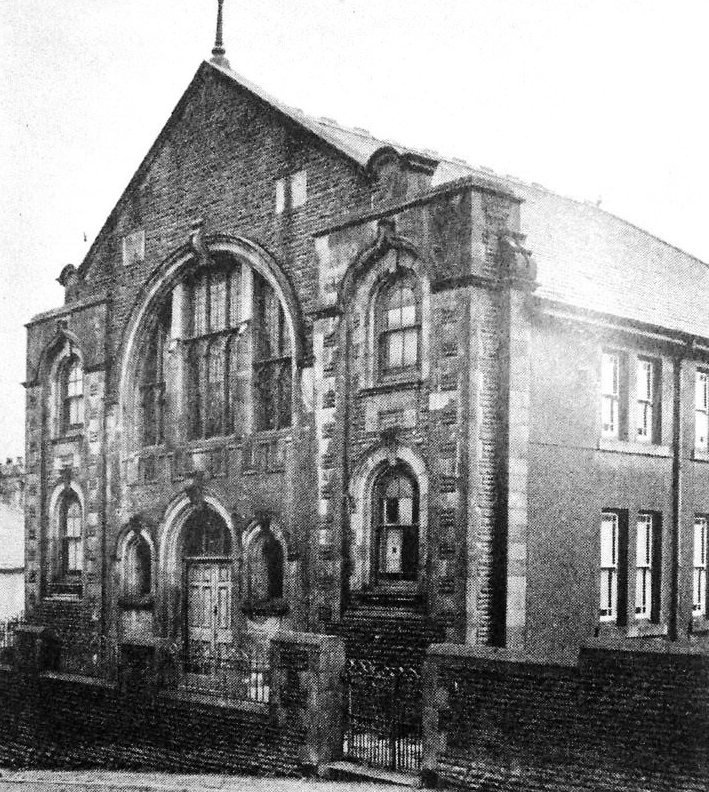 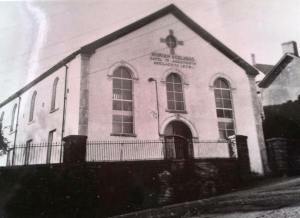 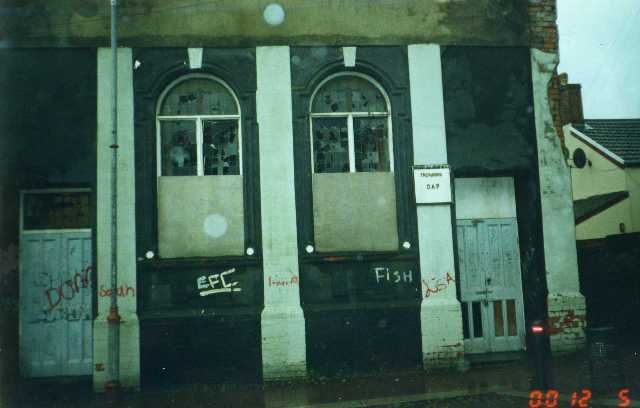 Below we see a photo of the Old Sunday School in Forrest road during thec 1970’s before it was demolished. 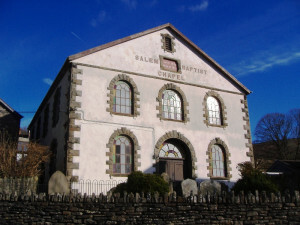 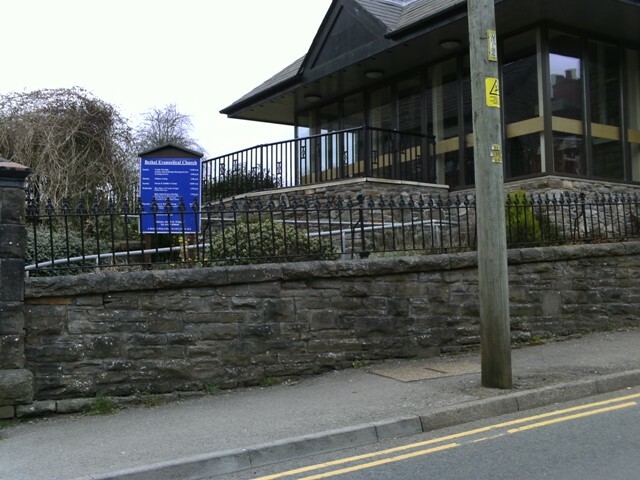 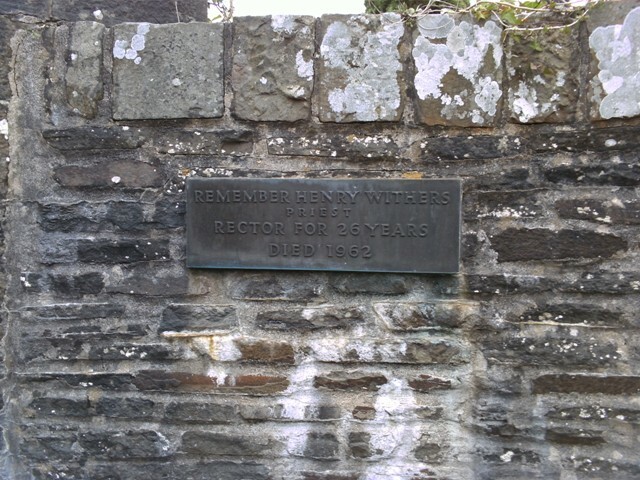 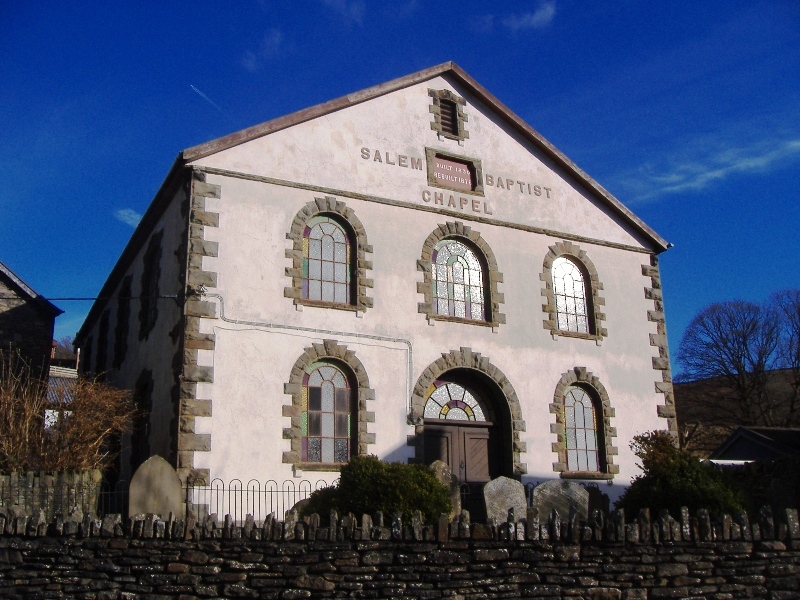 Berthlwyd Baptist Chapel was built in 1851 and then re-built in 1880. 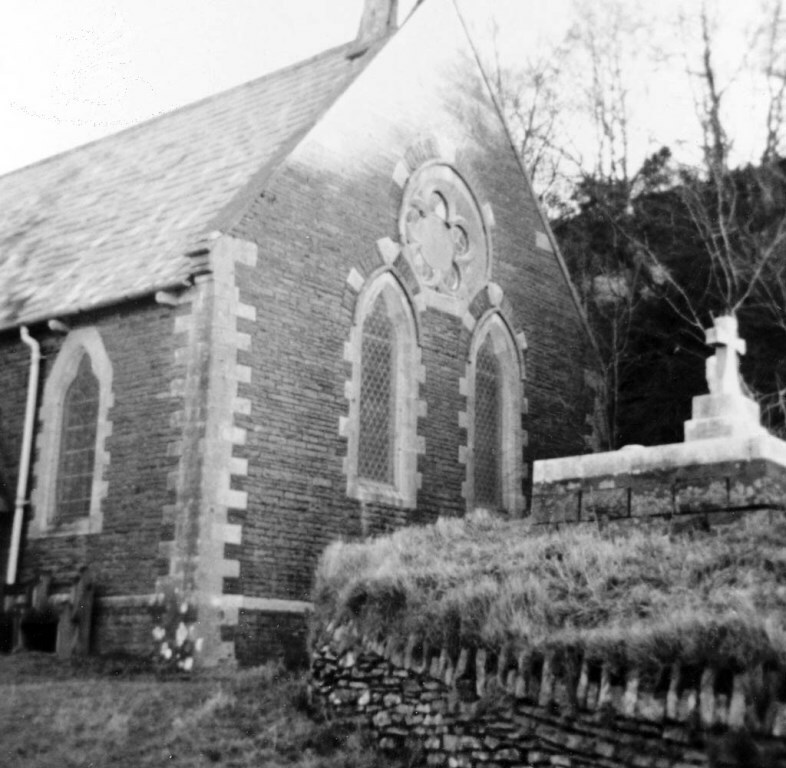 The later chapel was built in the Simple Vernacular style with a central entrance in the gable wall. 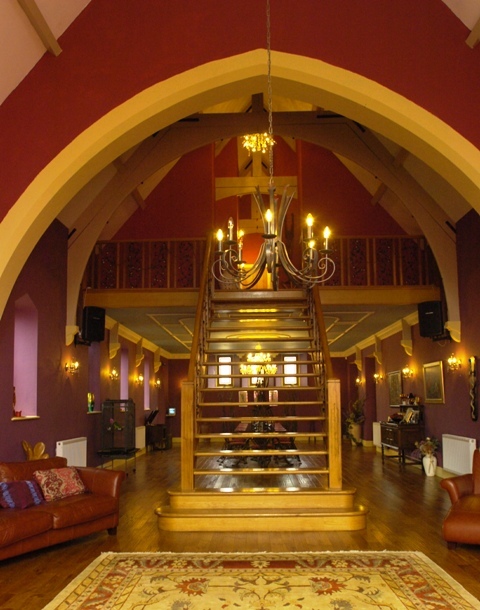 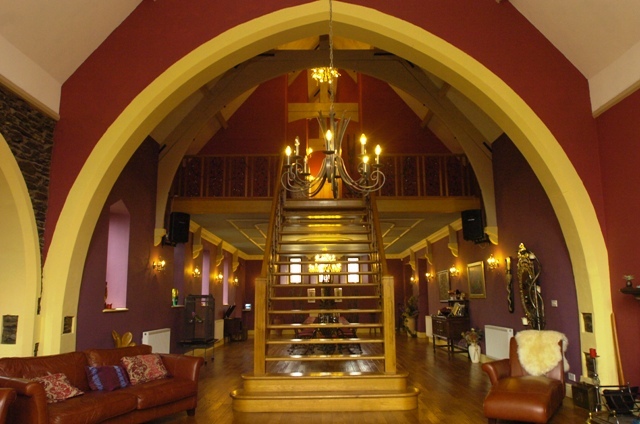 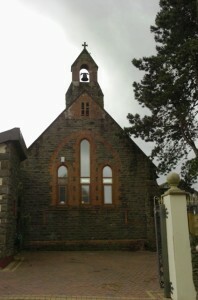 The chapel has two storeys with stairs either side of the entrance. 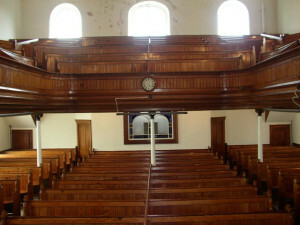 The pulpit is to the rear of the chapel and the doors either side of it that leads to a hall. 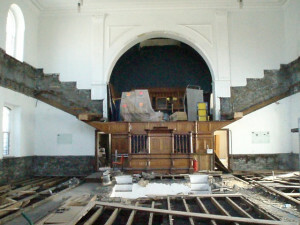 The Hall has a sliding room divider enabling multi-uses of the space. 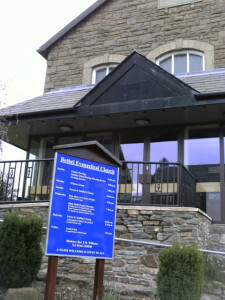 There are also two external entrances to this hall, one either side of the chapel building. 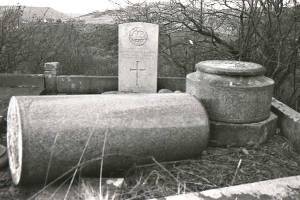 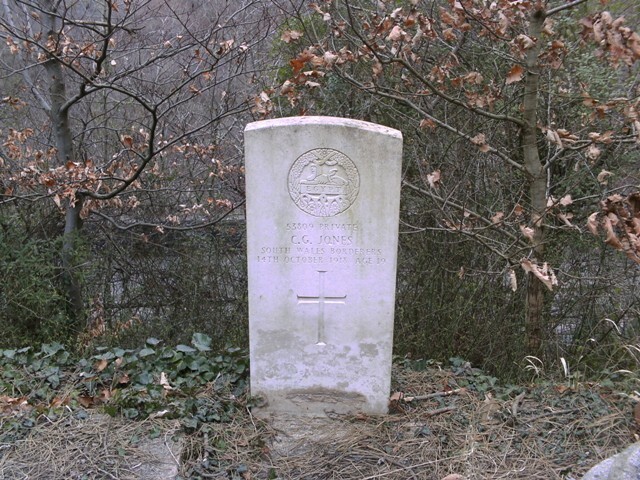 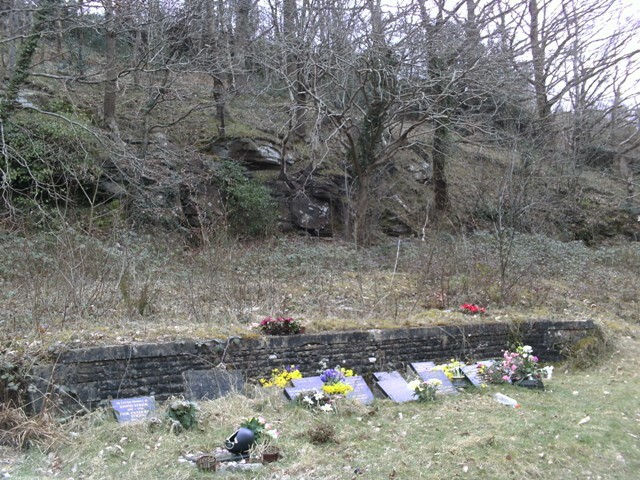 Information received from Chris Evans states that the soldier buried here is Glynne Colenso Jones, who was aged 19, he was a private in the 3rd Battalion of the South Wales Borderers. 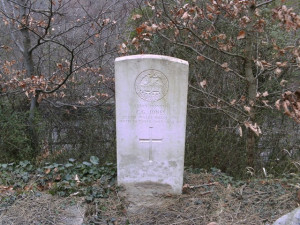 His service number was 53809 and he died on October 14, 1918. 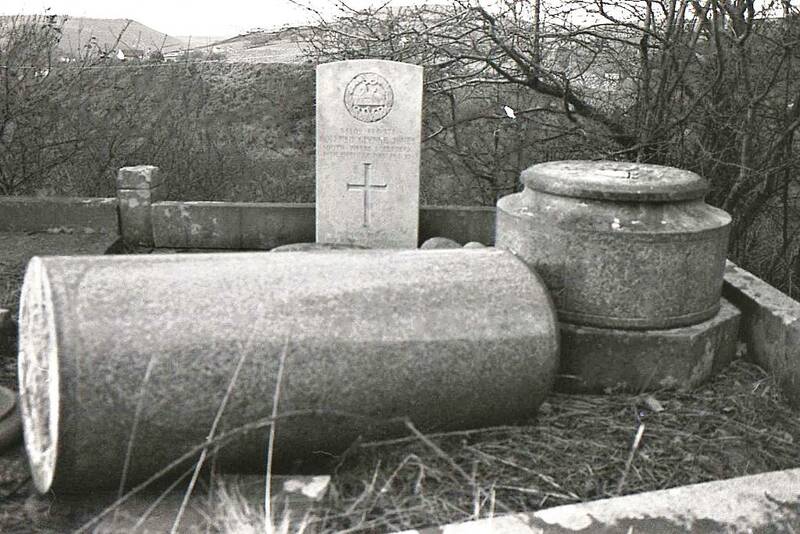 There is Egypt etched into the gravestone this relates to the cap badge awarded to the South Wales Borderers for a battle honour. 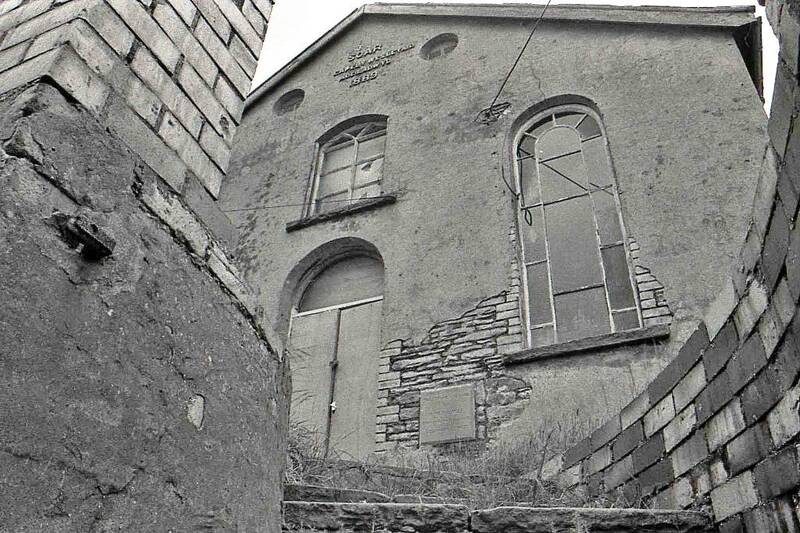 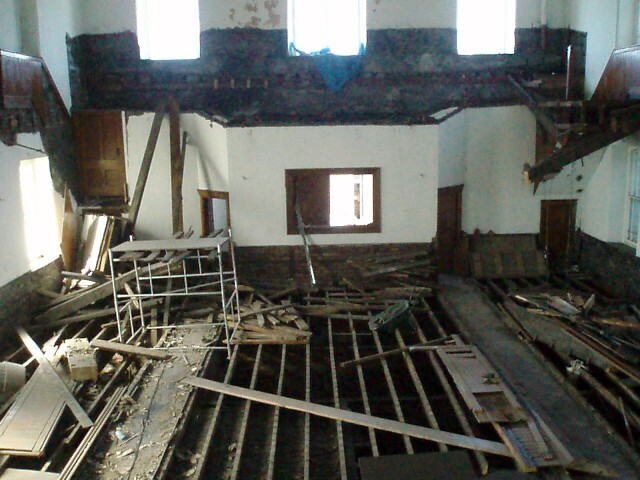 How the once proud Libanus church once looked. Libanus Independent Chapel was built in 1833, modified/rebuilt in 1853 and final alterations made in 1859. 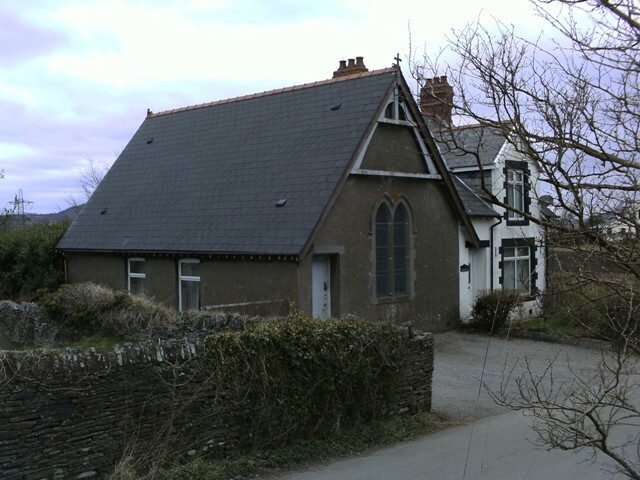 The later chapel is built in the Sub Classical style with a gable-entry plan and central doorway. This chapel has two storeys with entry to the gallery via stairs located either side of the central entrance. 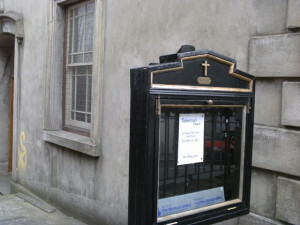 Entry to the ground floor chapel is via angulated doors set next to the stairwells in a partition. 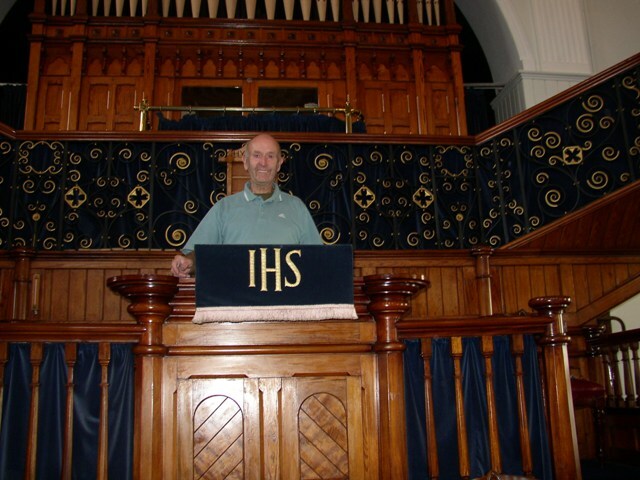 The pulpit is positioned to the rear of the chapel. There are also doors either side of the pulpit, possibly leading to an ancillary building/room. 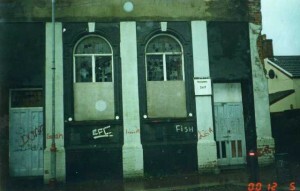 By 1996 Libanus had fallen into disuse. 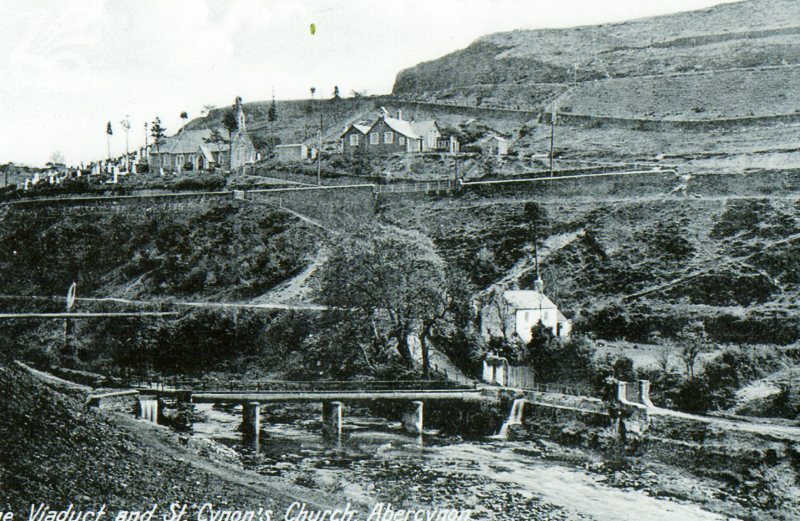 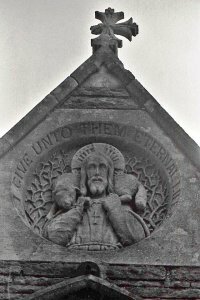 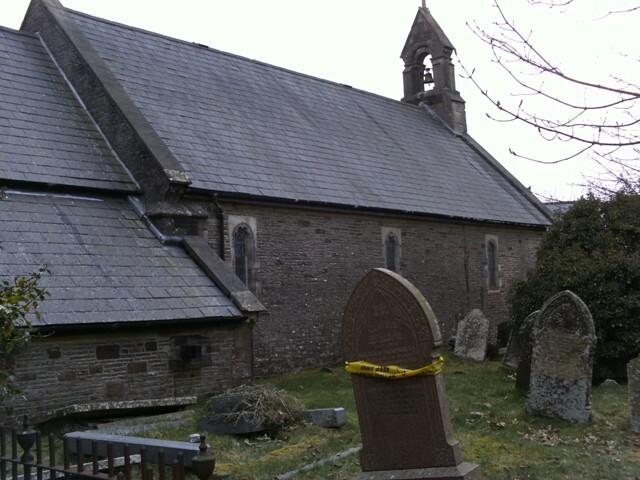 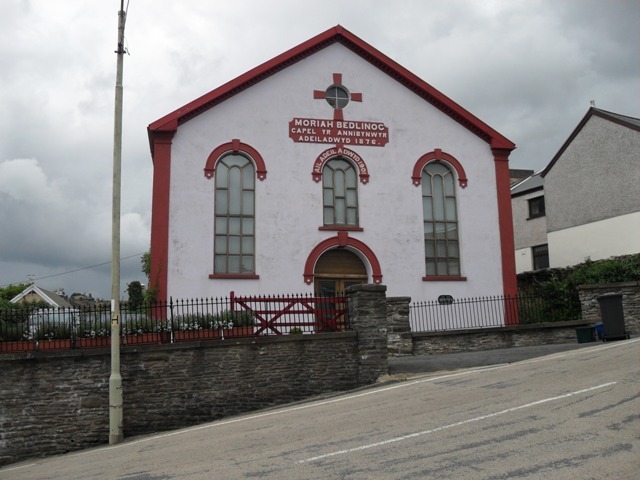 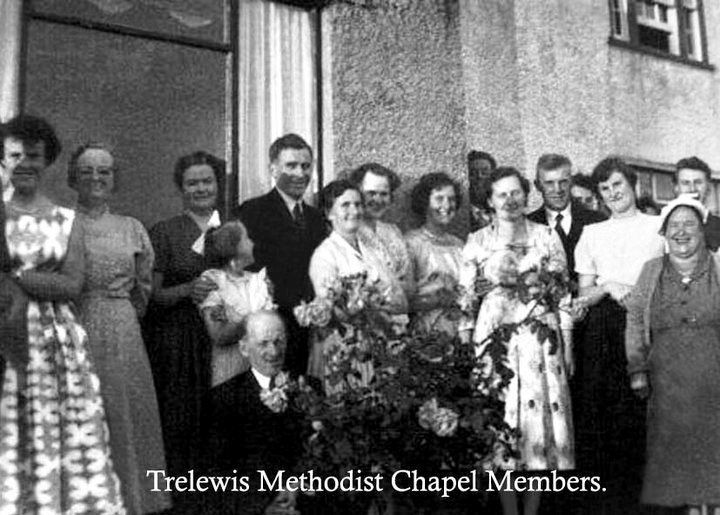 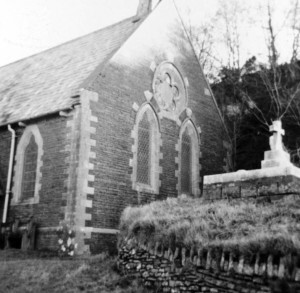 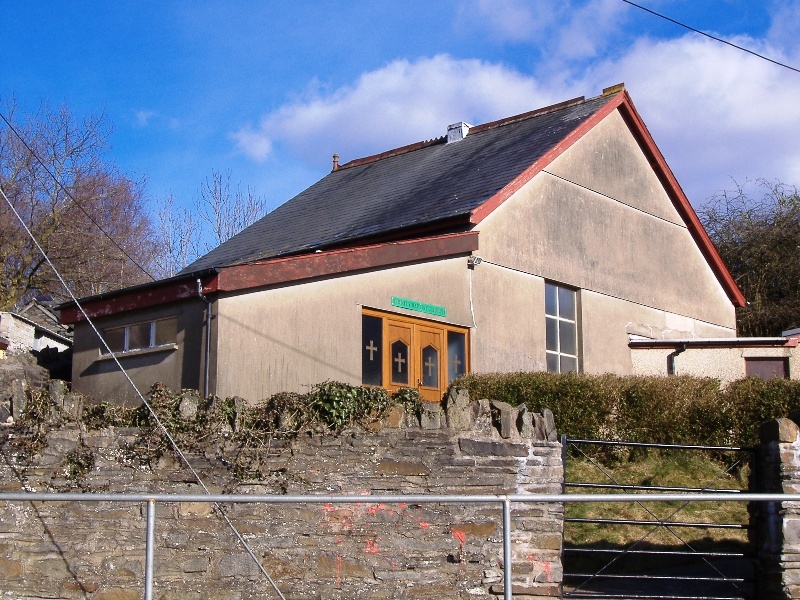 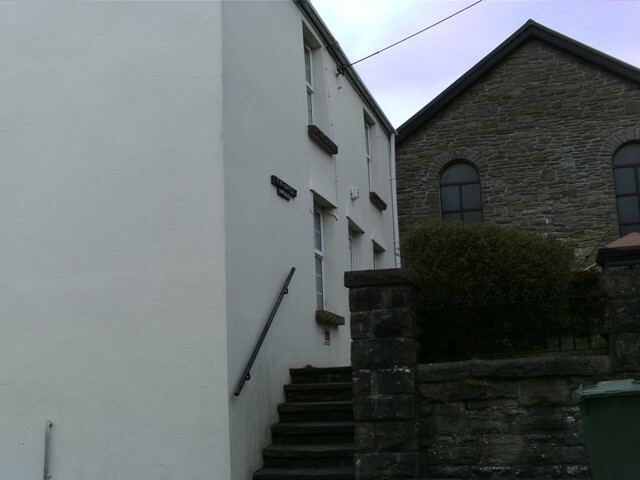 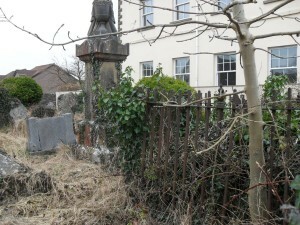 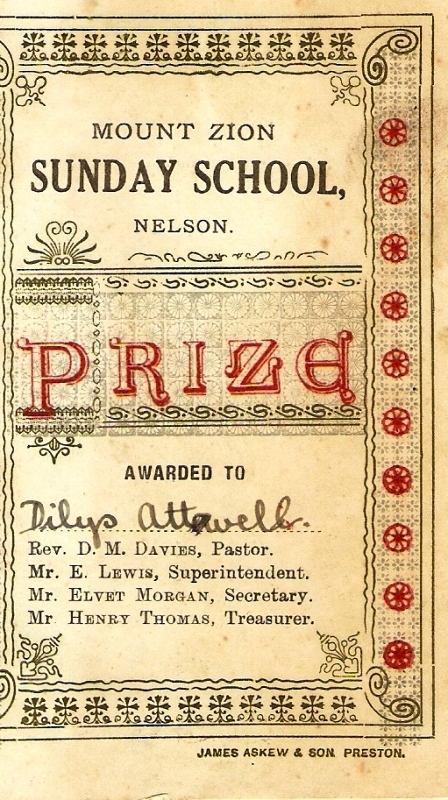 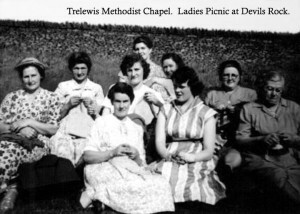 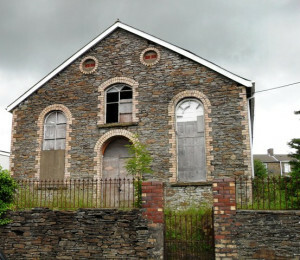 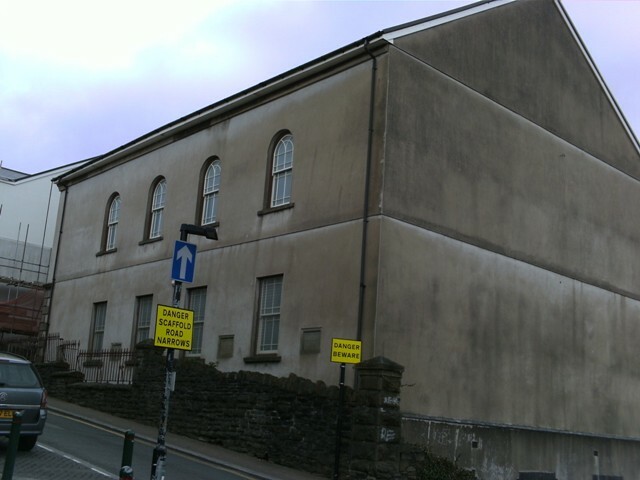 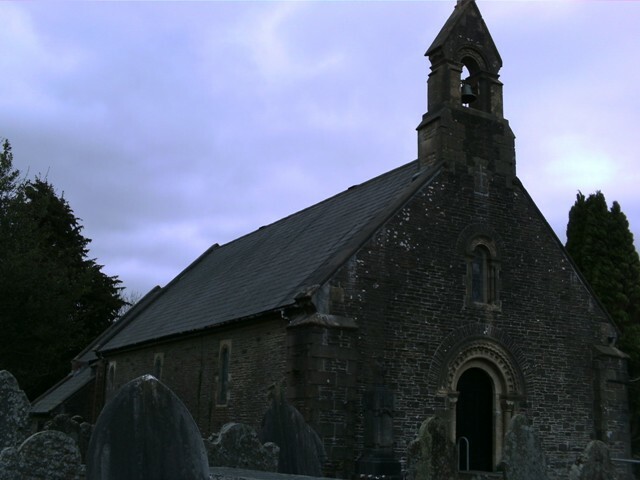 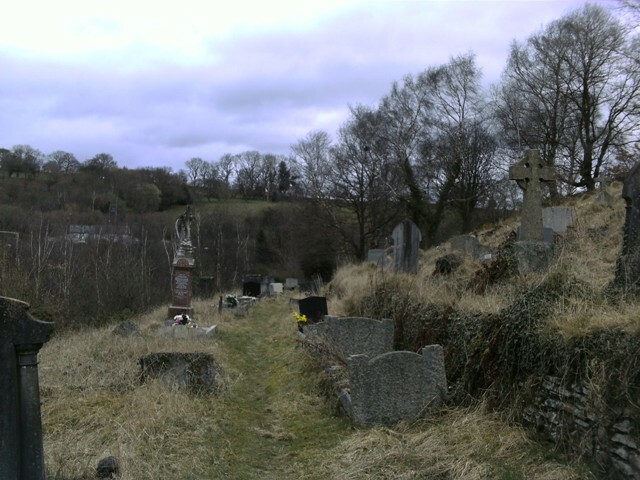 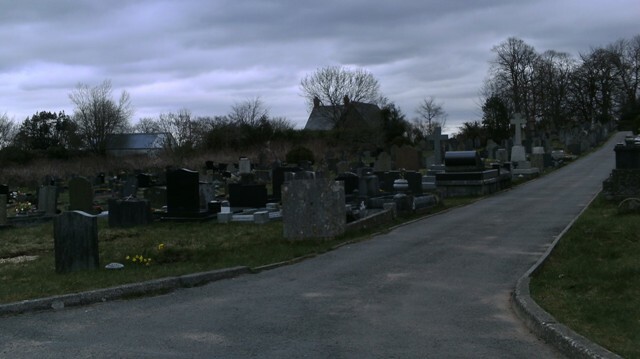 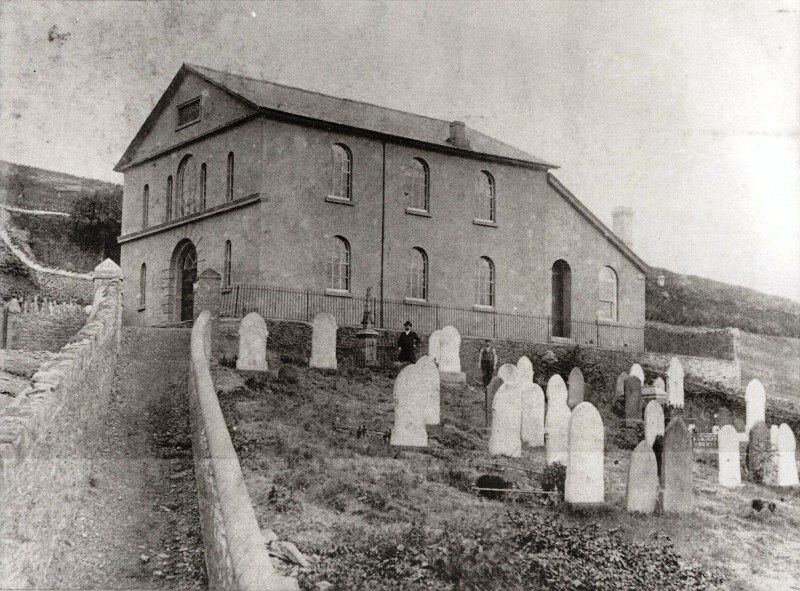 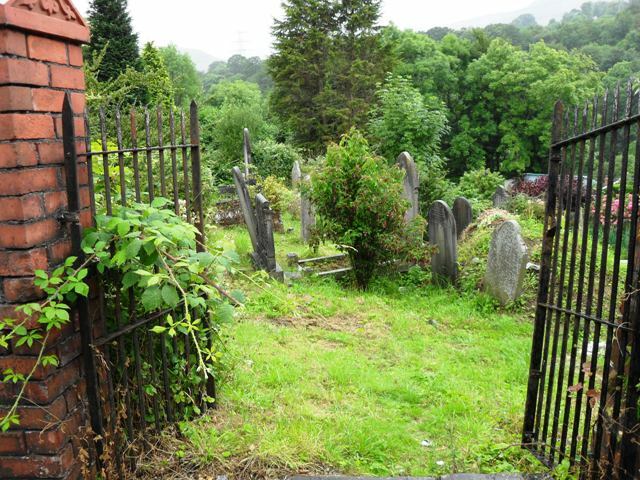 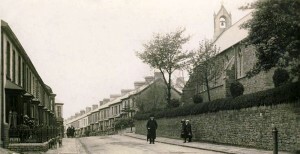 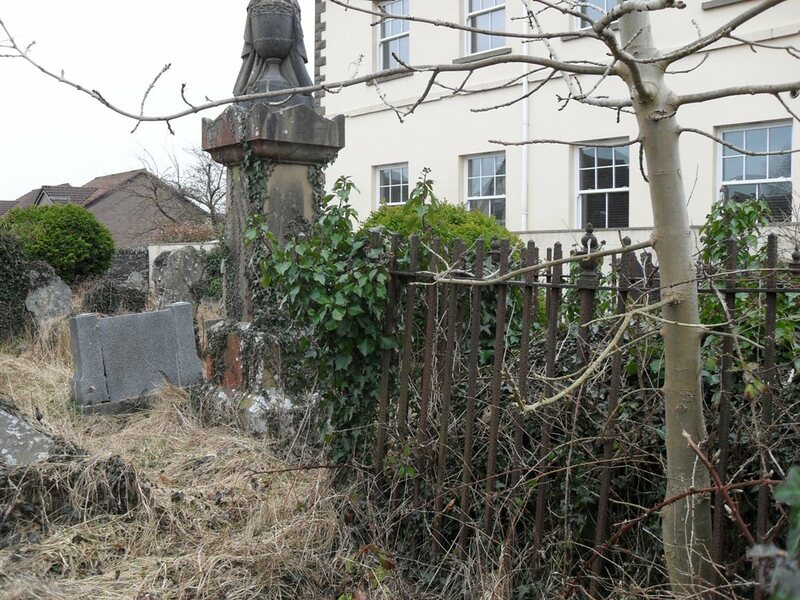 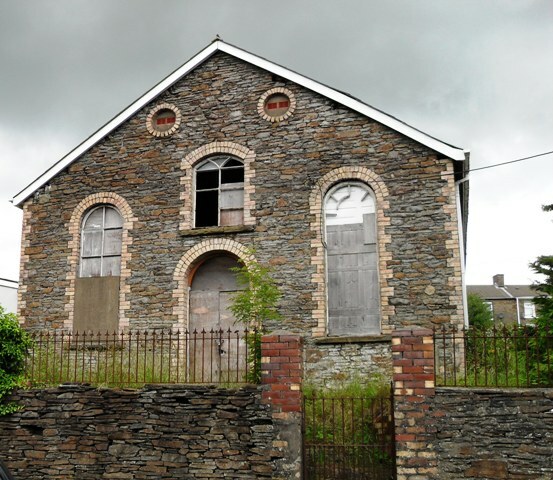 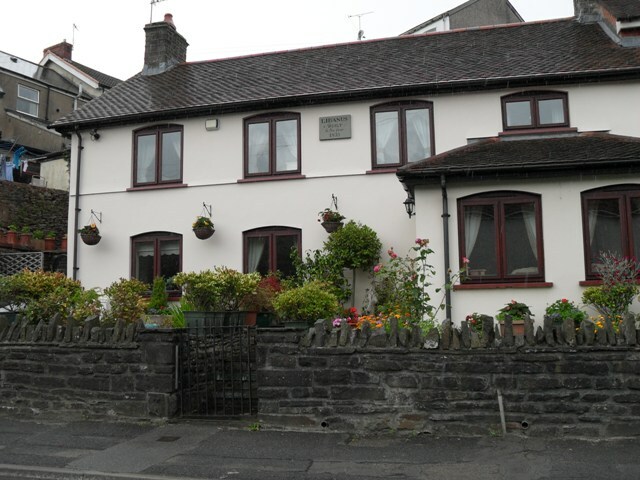 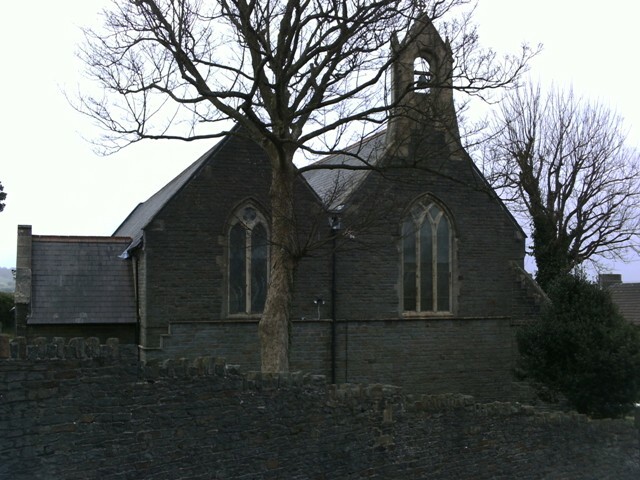 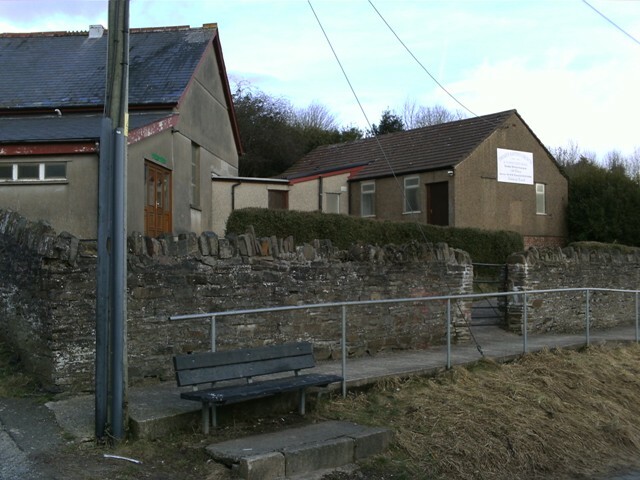 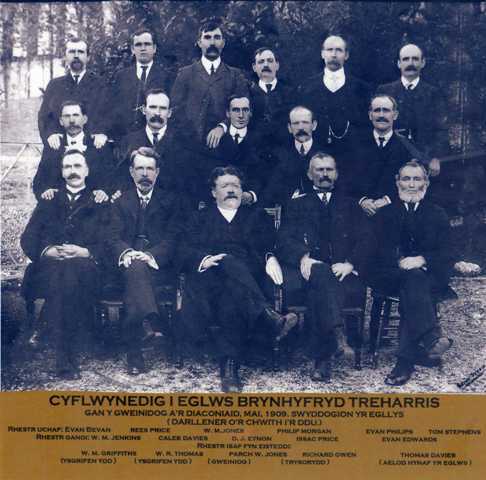 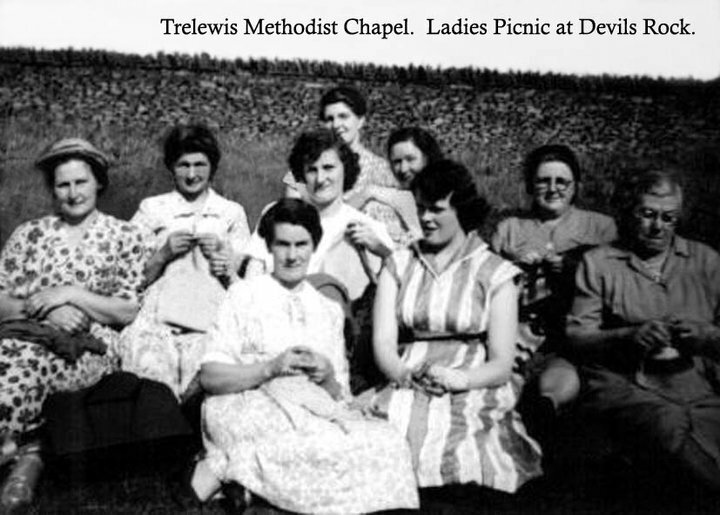 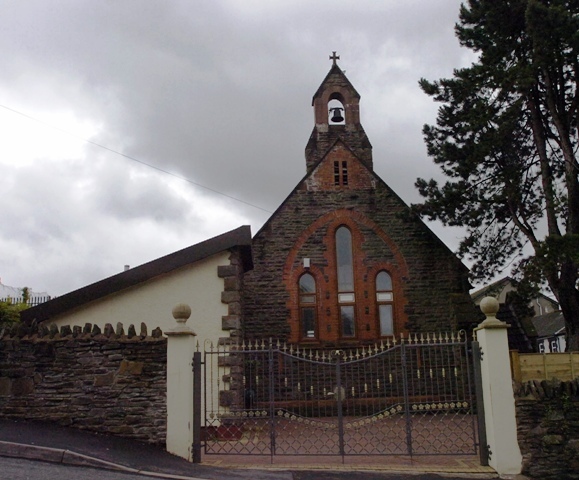 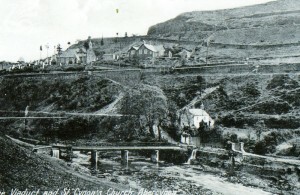 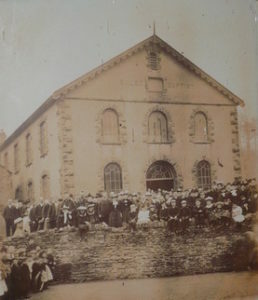 Due to the expansion of the village of Nelson during the mid 19th century – Llanfabon’s population was a mere 475 in 1801, but by 1901 it had increased to 4,035 – it was decided to build a daughter church closer to the new population. 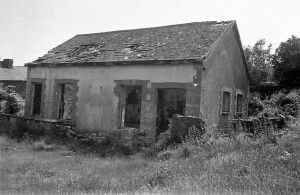 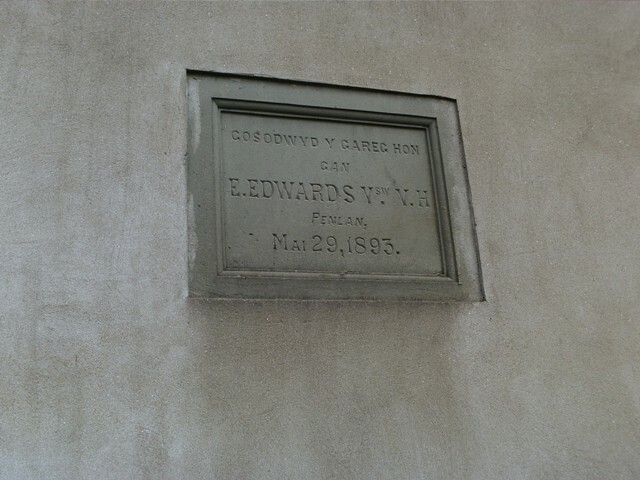 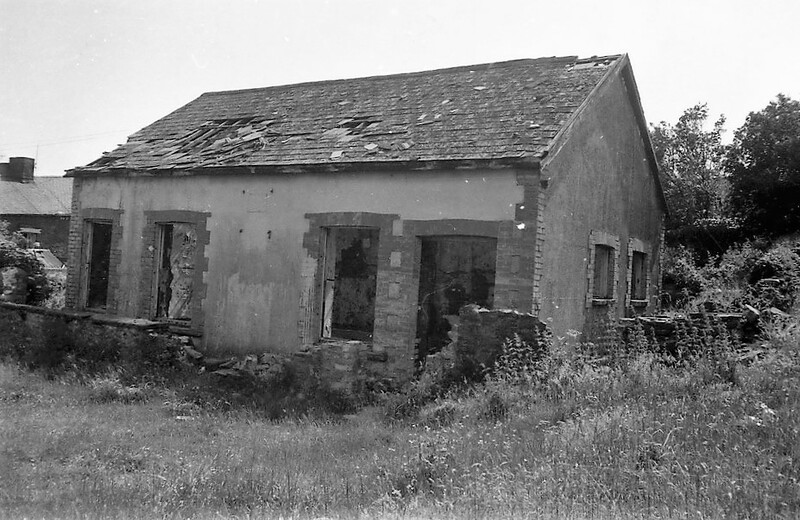 At the time, this would have been described as a Chapel of ease to Llanfabon. 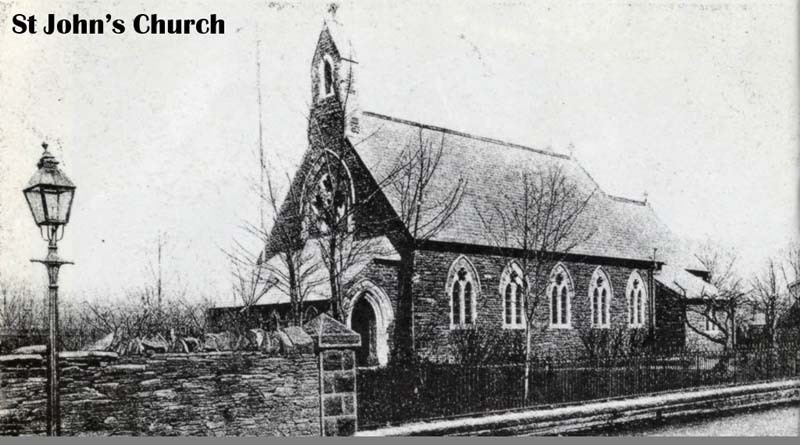 The original church of St John Baptist was completed in 1888. By the end of the century the original church was considered to be too small. 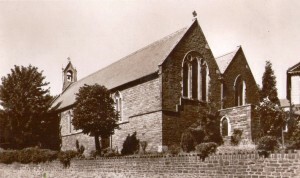 In 1904 it was extended and a tower was added. There was an old shed of a building which I can’t find a photograph of, It was the Zion Sunday school chapel that used to be on the corner almost opposite the road that leads to long Row..on Caerphilly road( Google annotates it is 2 Caerphilly Road but I would say it’s Springfield Terrace).below we can see two photographs that may remind people of those times and the first image (above) shows how the site looks Today. 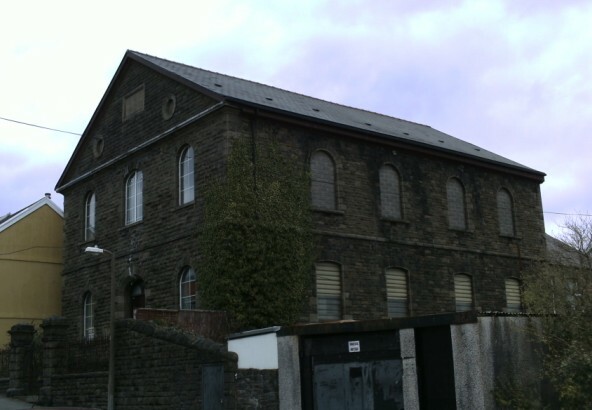 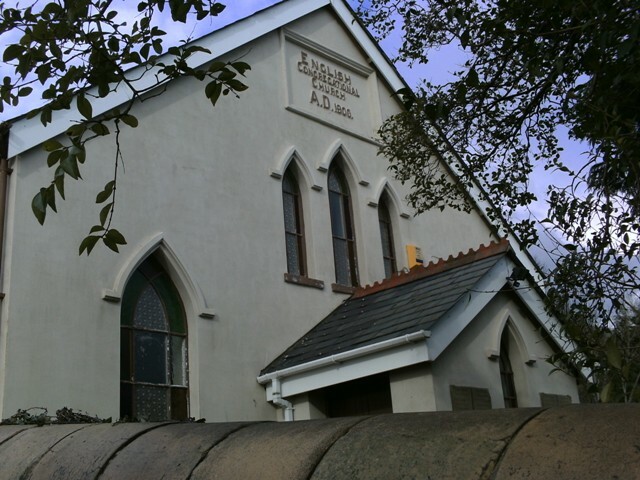 Moreia Independent Chapel was first built in 1870 and rebuilt in 1876 by the builder Thomas Davies of Gelligaer. 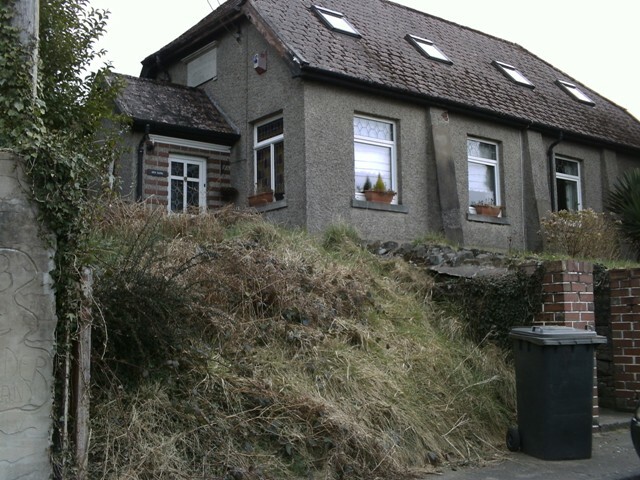 Built on the steep gradient of Cwm Hill, no longer in use but redeveloped into a large family home.